From East, West, or perhaps the origin lies in an ancient warrior culture, this incredible visored helm dates back to unknown time and origin. This Visored Helmet however does not diminish the exotic styling and long visored plates. The Visored Helmet is wearable, full size extremely unique helm is skillfully hand crafted. 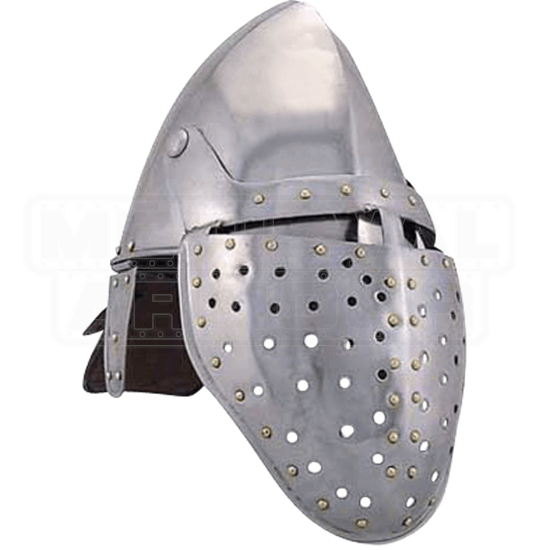 This visored helm is fully wearable and made of 18 gauge steel. 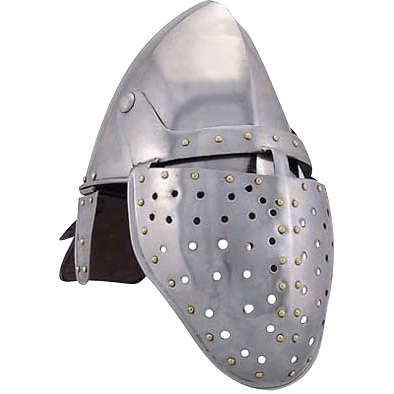 This medieval styled helm is a must addition to all collections of medieval armour and helmets.